Chablis is famous for crisp, unoaked, mineral-tinged Chardonnays in northern Burgundy. 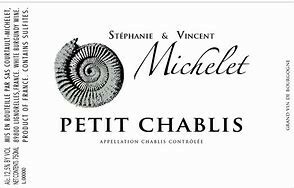 Michelet's Chablis is powerfully aromatic with white flowers, fresh fruit, lime, and citrus aromas. It is a wonderful accompaniment to shellfish, oysters, fish, veal, and foie gras. Rated one of the Year's Best White Burgundies by Wine & Spirits Magazine. 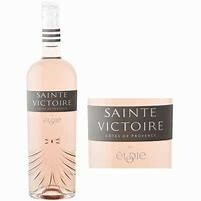 Sainte Victoire is a sub-region of the Cotes de Provence appellation named after the Montagne Sainte-Victoire which is a prominent feature of the Provence landscape. In true Provençal style, the wine is bright with fresh strawberry and raspberry notes, but is fermented dry. Unoaked. 50% Grenache, 30% Syrah, and 20% Cinsault. It's a natural match to enjoy with salad, chicken, grilled salmon, or by itself during a warm summer day. 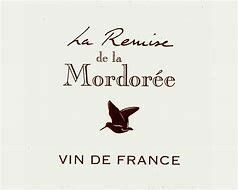 Domaine de la Mordorée (woodcock) is located in the town of Tavel, in the Southern Rhône Valley, and is one of the top producers of Rhône wine. "La Remise" is the resting place for the woodcock and is comprised of 50% Marselan, Merlot, and Grenache. It is loaded with black cherries and blackcurrants accompanied by earth, spice, light tannin and a savory, seductive lushness.Try it with your favorite grilled meat! 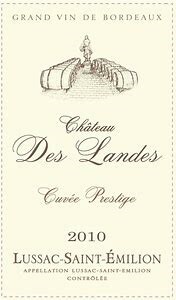 Chateau des Landes is owned by the Lassagne Family. Nicolas Lassagne is the winemaker and the third generation of the family in the Bordeaux wine business. He uses both the preceding generations' expertise and the new technologies in modern viticulture and oenology. The wine is anintense ruby color with aromas and flavors of ripe black fruits, floral notes, wood, spice, and a touch of vanilla. The Sauternes region of Bordeaux produces some of the most exquisite dessert wines from the morning mists that rise from the Ciron river. These mists create the humid climate for the "noble rot" that alters the acid structure and concentrates the sugars in the grapes. The resulting wine can be described as opulent, with flavors of apricot, liquid crème brulee drizzled with honey. 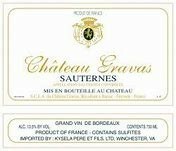 Classic pairings with Sauternes include foie gras, Roquefort blue cheese, and Melissa's favorite - vanilla bean ice cream. 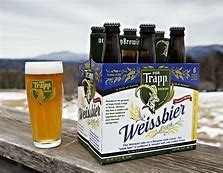 Pours hazy golden with tall, long lasting, foamy, white head and lively carbonation. Aroma is of spices, banana, and wheat malt. Body is medium and crisp. Spices, wheat malt, banana, some hops and lemon fill the mouth. Finish is long and dry with some sourness. 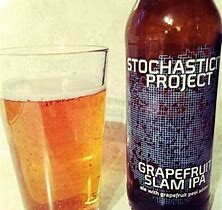 Its bitter, zesty grapefruit peel infusion created a bright accent to flavors of pine resin and fresh citrus well in advance of the explosionof fruited beers we’re all reveling in at the moment. Our silky smooth vanilla coffee goodness, Tiramisu Stout, aged with bourbon barrels. Black pour with a medium tan head that recedes gradually. Small patches of lace. Oak, vanilla, chocolate and coffee aroma. 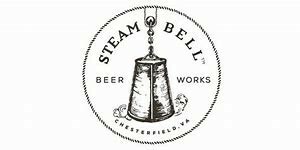 Full-bodied with flavors of oaky bourbon, vanilla, chocolate malt and roast coffee. The finish is sweet with a bourbon-infused tiramisu aftertaste. Good beer all around.